Traveling can sometimes be stressful and choosing the best carry on luggage is of utmost importance. Especially if you’re expecting a lot of transfers in your flights, it’s essential that you have a carry on that is easy to pull and packs everything you need. Delays, changes of gates, and emergency situations are just some of the things that make travel stressful. According to these pro tips, here are some ways to avoid stress when traveling. Some of the things that you need to take into account are weight, dimensions, and cost, when choosing the right carry on luggage. Our number one choice is the Rockland Melbourne 20-Inch Expandable Abs. This carry on is made from lightweight material but it’s quite durable. It features spinner wheels which rotate 360 degrees so it’s very easy to maneuver. One advantage of this lightweight luggage is that the bag itself won’t add to the weight. So you can avoid extra charges for excess weight charged by many airlines. 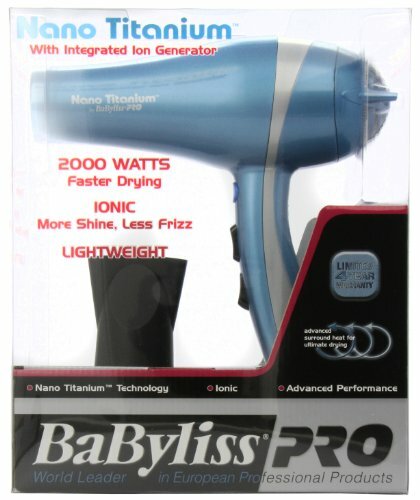 It has an interior mesh and zip pocket, and features an ergonomic chrome telescoping handle. 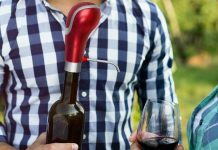 This makes it easy to adjust the size of the handle and pull around. It has a simple design and a number of attractive colors to choose from. 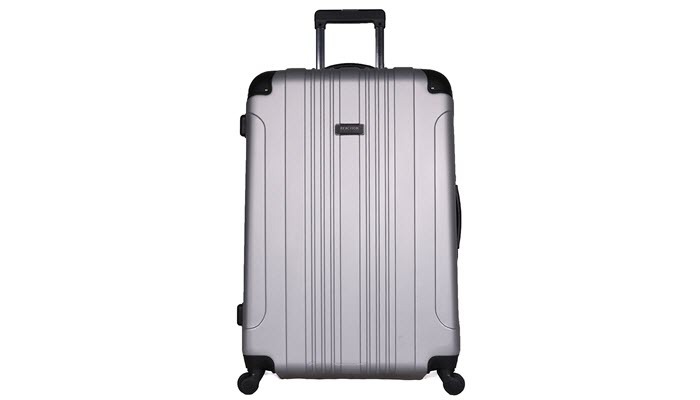 The Samsonite Winfield 2 comes second for its design and manageability. This design is definitely more stylish though ranging a little higher on the price. It is compact so it fits most overhead compartments. The material is 100% polycarbonate so it’s lightweight and very durable. The inside has a fully zipped divider, with pockets so you can easily organize your things. It comes in nice bright metallic colors with brushed patterns so that it hides potential scratches. A really nice alternative is the Travelpro Maxilite. If you don’t want a hard case, this one is definitely a great choice. It is ultra lightweight as you can imagine because it is made from 100% polyester. The ball bearing inline wheels are designed to roll smoothly on any surface so this is great for high mileage travel. It has great support so it doesn’t easily tip over. The compartment is wide and has the ability to expand up to two inches. This makes packing more flexible and allows you to maximize all the space. 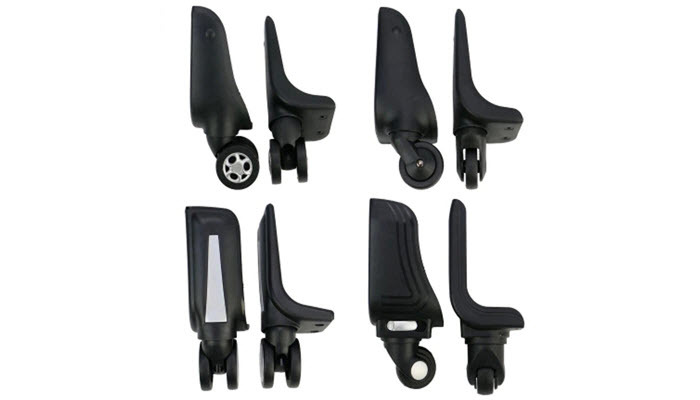 It features skid guards to protect the wheels from damage over long uses. You can only choose from limited colors and the design is much simpler and plain. 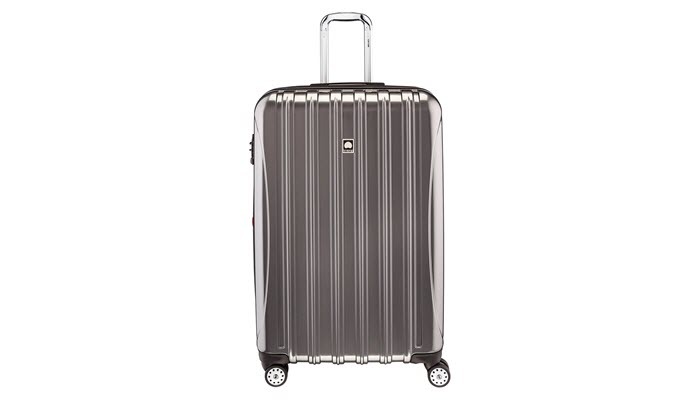 Another hard case style carry on luggage is the Delsey Helium Aero. The color options for this model are bolder so if you want to get noticed, this luggage will definitely make a few heads turn. It has a glossy finish and is made from 100% polycarbonate. This carry on is extremely lightweight. 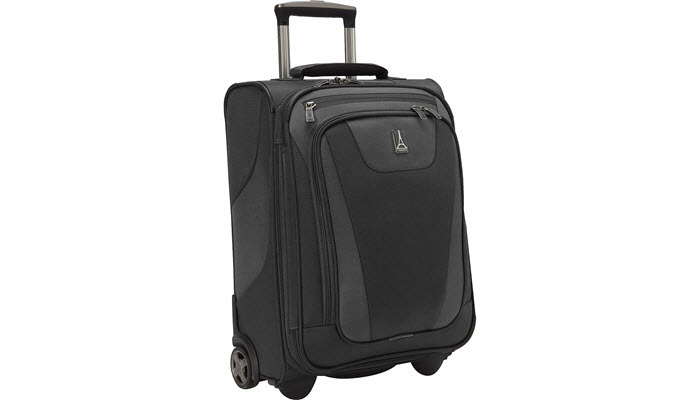 The luggage features a one-button system on the locking handle so it’s very easy to adjust. It has an ergonomic comfort grip so it’s quite easy to pull around. The interior has two compartments for packing so you can organize your clothes and other travel accessories with no hassle. It also comes with a 3 dial TSA lock so it’s great for traveling to Europe and other destinations that require TSA locks. One more item to consider is the Kenneth Cole Reaction Out of Bounds. This is also a hard case style luggage. It features an innovative design with an ABS exterior construction which makes it lightweight and highly durable. The case has molded corner reinforcement which gives it impact resistance. That means it’s protected from bumps and if it gets thrown about like in most airports. The interior has a lot of room and has garment restraints as well as zipped pockets to organize your travel needs. You can push or pull it in any direction because it has a four-wheel style. The design is quite attractive with metallic pastel colors to choose from. 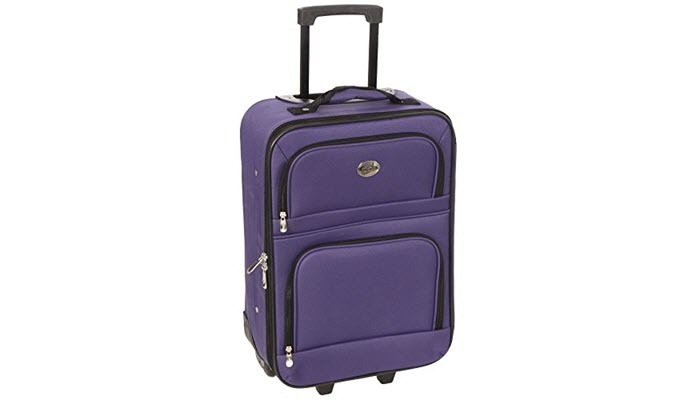 A very good and affordable alternative is the Jetstream New Travel Carry On Suitcase. It features a soft case so it’s also lightweight. The front zipper pockets allow you to have easy access to your important items. A disadvantage for this choice is that it only has inline wheels, so it’s not very convenient to pull around. But for its price, the quality is far better than expected. It offers a number of patterns and color choices. Choosing the best carry on luggage is not just about style, though it would be very nice to travel with a highly stylish bag. A lot of it has to do with convenience. You don’t want to pull around extra weight and you also don’t want to struggle with a luggage that is very difficult to maneuver. There are other small but important factors to consider. The spinner wheels also called “four-wheels”, have become very popular. It’s not just because of style. 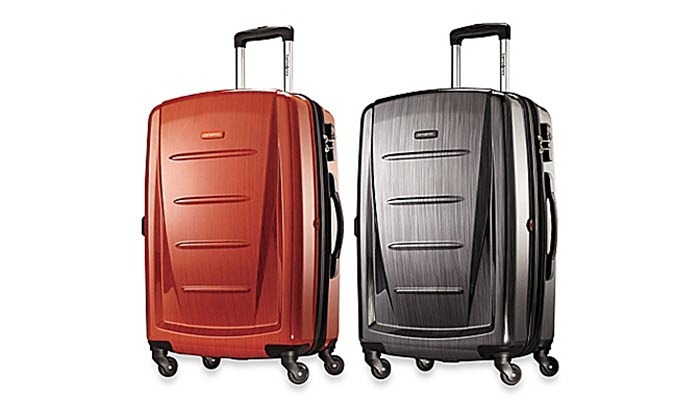 Spinner wheels are much more easier to maneuver and it allows you to push and pull your luggage any direction you want. That means you don’t have to extend your arms to your back. You can just push it along your side. It would also be easier to pass through airplane aisles with this this type of luggage. 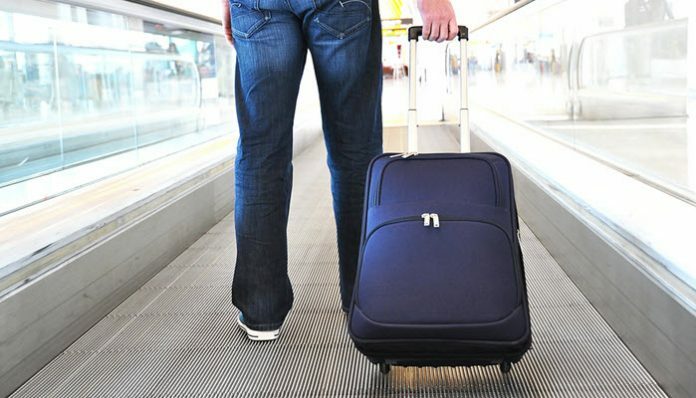 Luggage are made from different types of materials, some are hard cased and some use fabric. 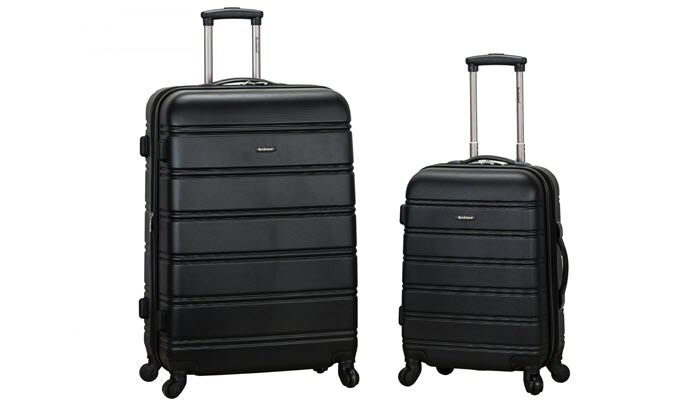 While both are lightweight, the polycarbonate made luggage are much more durable. It can withstand pressure. Your things inside are safer because the construction protects the case from. Some airports toss and throw luggage around. You never know if yours is going to be damaged. So it’s quite wise to invest in one. A disadvantage of the polycarbonate hard cased luggage is that they don’t have exterior pockets. So if you need something in an emergency situation, like medicines for example, you would have to open the entire bag. As it is obvious from the previous factor, weight is of utmost importance. Always choose a lightweight carry on luggage. It’s hard enough that you have to pull one around. You don’t want to struggle in carrying and fitting it into the overhead compartment. A good carry on must be spacious enough inside but still compact so that it easily fits into the compartment. Design and colors are a matter of taste. But ultimately, it’s the functionality and ease of use that you need to consider most. On the other hand, for long-haul flights, you may check out our take on the best luggage for international travel.